A whole new era in The Life of Sound. In a world of ever-changing brands, products and trends, ELAC builds on its heritage with vision to push thinking beyond the present. This is ELAC, founded on a commitment to making the best sound in the world. It began on September 1, 1926 in Kiel, Germany, when Electroacustic GmbH was founded to focus on the development of sonar technology and the research of signal and sound channels in air and water. ELAC’s passion for music and fascination with sound followed with their first consumer audio product, the PW1 record player in 1948. ELAC continued to lead the burgeoning audio industry with innovative turntables and electronics. During the 1970s and 1980s, every serious music lover had a high-quality turntable, and the fortunate few owned an ELAC, the backbone of the finest sound systems. By 1984, ELAC began designing loudspeakers in conjunction with AXIOM Electroacoustic Speaker Specialists. 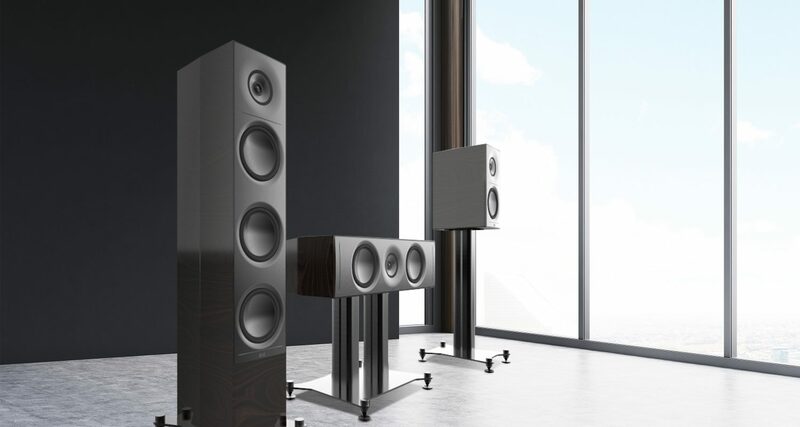 One year later, ELAC’s newly developed 4Pi omnidirectional tweeter, a driver that combined extended range with broad dispersion, bringing true “high end” to high-end audio. It turned the listening world on its collective ear and launched ELAC into the company of the most elite speaker manufacturers. ELAC and innovation go hand-in-hand, and in 1993, ELAC introduced the JET folded-ribbon tweeter. With an expanded frequency response up to 35 kHz, the JET tweeter proved that a driver whose response goes beyond the limits of human hearing sounds better over its entire range. The JET has been continually refined and is featured today in both home and automotive applications. Innovation, craftsmanship and superior performance. ELAC has earned its reputation—from the beginning—through advanced technology, uncompromising build quality, outstanding European design and sound that is second to none. And now, a whole new range of affordable speakers and electronics brings ELAC quality within reach of dedicated music lovers on a budget. ELAC offers a complete range of speakers and bold new electronics that bring music to life like never before. Every product we create delivers stunning performance, exquisite craftsmanship and unequalled value. All with unmistakable ELAC style that will be welcome in your home.